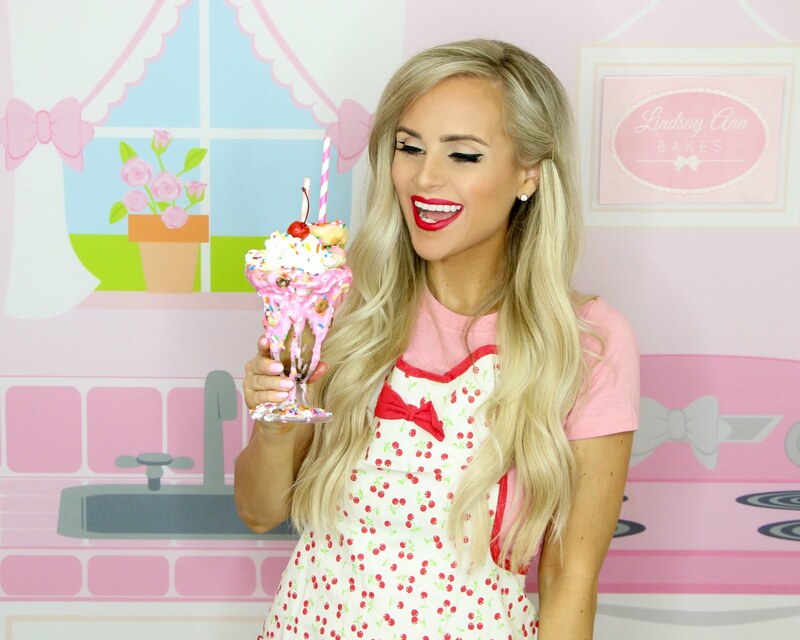 This is a sponsored conversation written by me on behalf of The J.M. Smucker Company. The opinions and text are all my own. 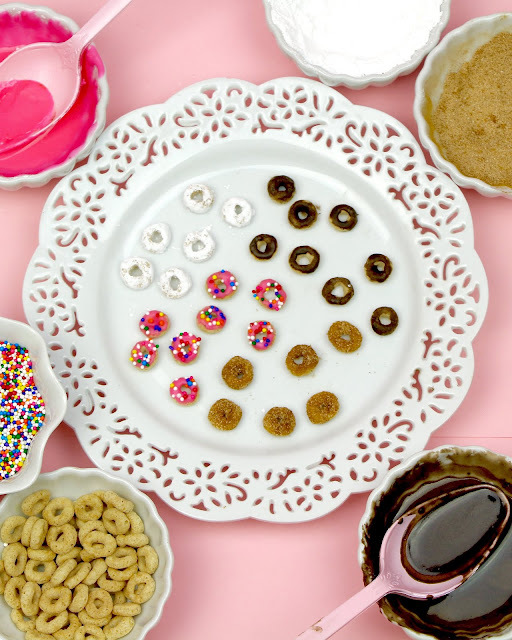 The most over-the-top spin on your morning routine. 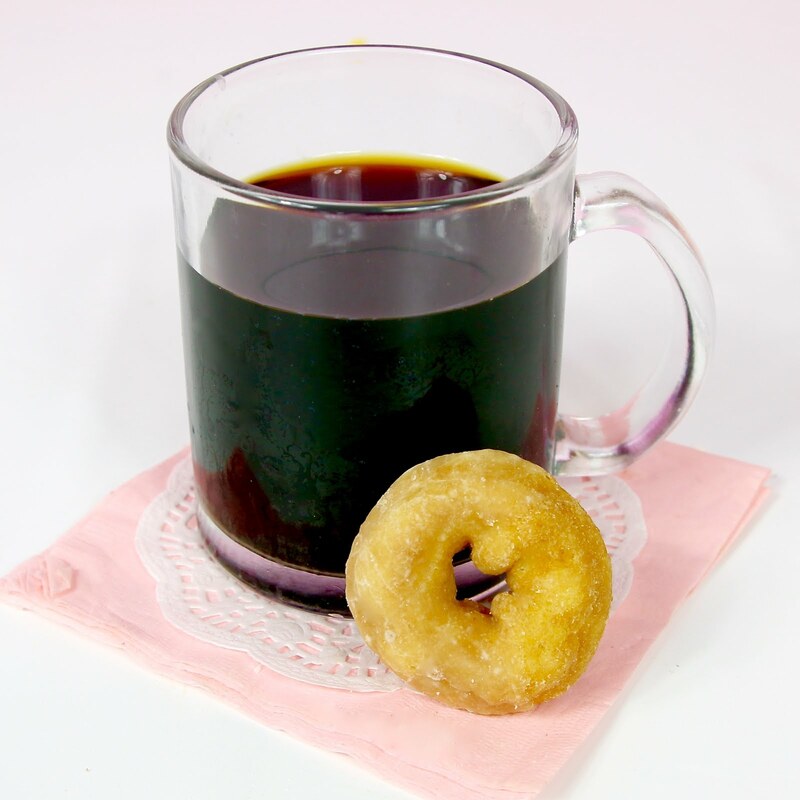 There is seriously no better combo than coffee and donuts. 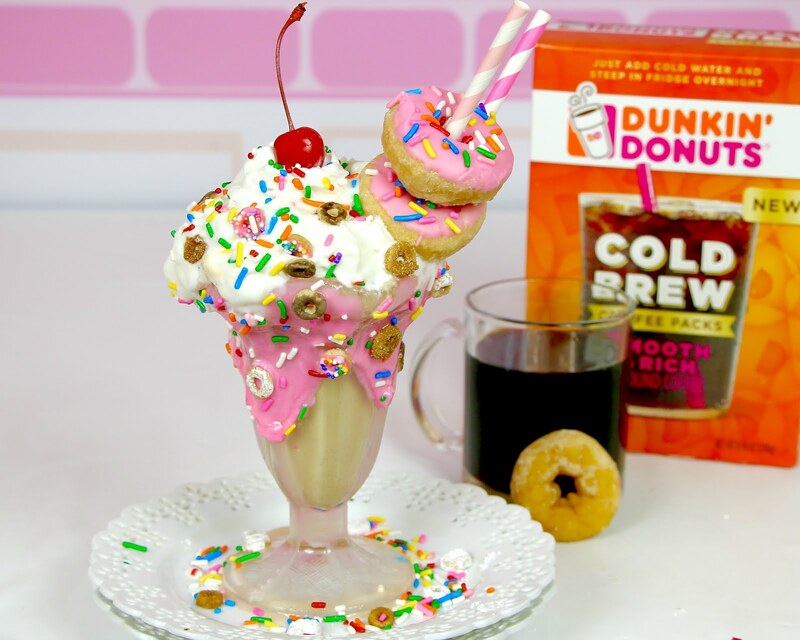 So I could not have been more excited when I learned about Dunkin’ Donuts® Original Cold Brew, so I can make a chilled coffee that fits my mood, when I want a fun frosty drink! 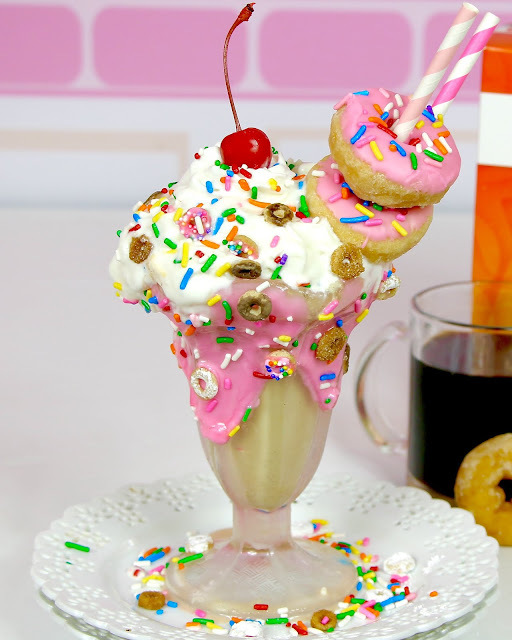 I love the Happy Taste of Dunkin’ Donuts Original Cold Brew and it is just perfect for enjoying year round, all blended up with some donuts in a super fun milkshake! The NEW Dunkin' Donuts Cold Brew has a more balanced & blended coffee forward taste because of its craft brewing method. The freshly brewed Cold Brew packs also give you a really customizable, craft experience to highlight the smooth & rich notes, with that same fresh, crafted cold brew taste, but in a simple process at home! I love using the individual packs to make a few cups worth of cold brew at a time. You can purchase it at Meijer, located in the coffee aisle, so they are super convenient to pick up when you're getting groceries and that way, you've got a whole box at home, for any time you want fresh cold brew. 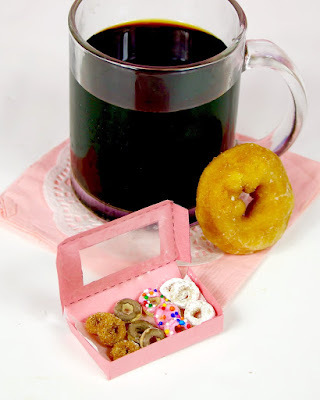 You can learn more about Dunkin’ Donuts Cold brew here and find mPerks savings (from 11/5-12/2). 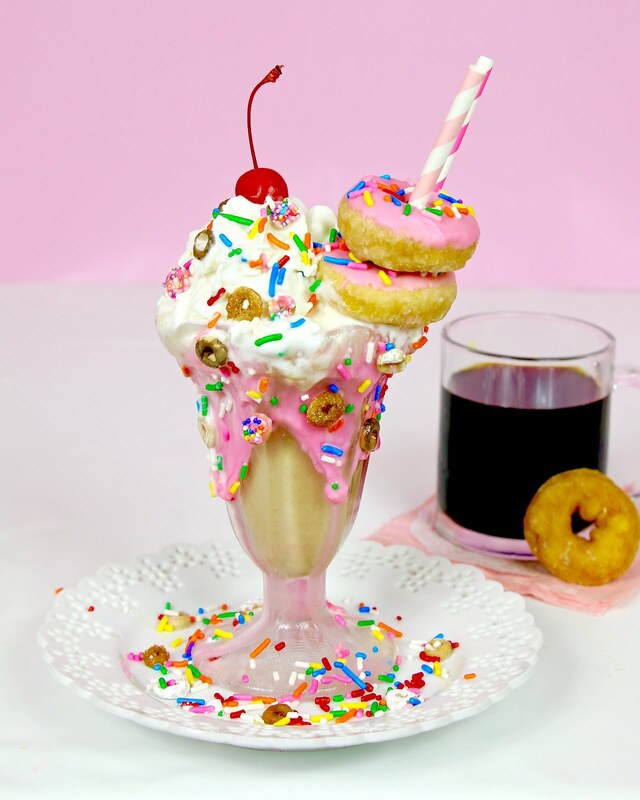 Since it's nice and warm out here in Los Angeles, I thought it would be really fun to take my cold brew and blend it up into a milkshake, for a sweet treat, packed with coffee and donuts right inside the drink! 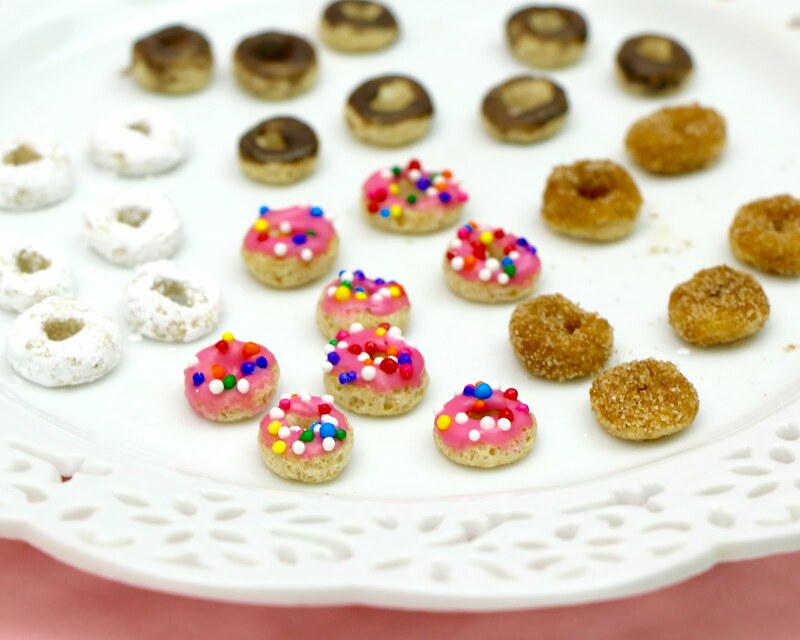 For decoration, I made these teeny tiny little donut sprinkles to really amp up the fun factor. I made a few different flavors out of cereal and toppings to create replicas of my favorite donuts. 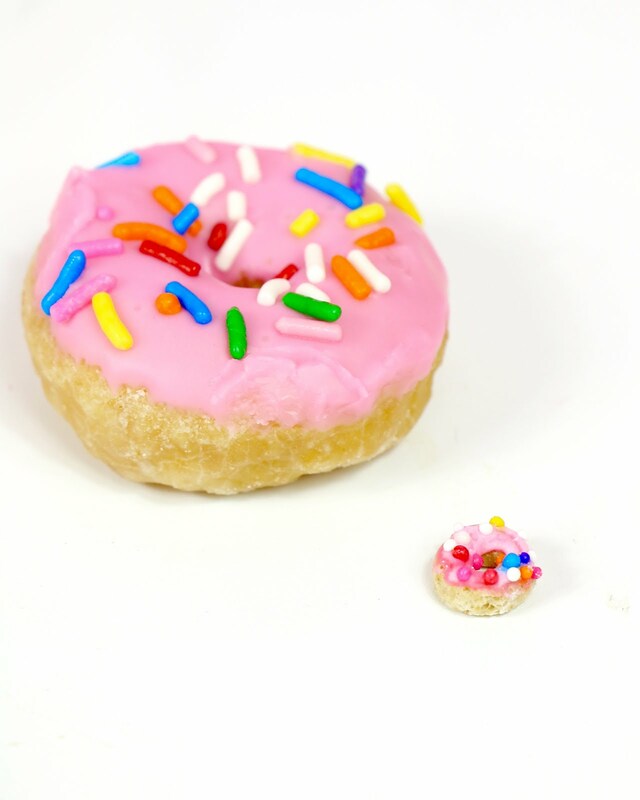 See how cute and tiny these are?! 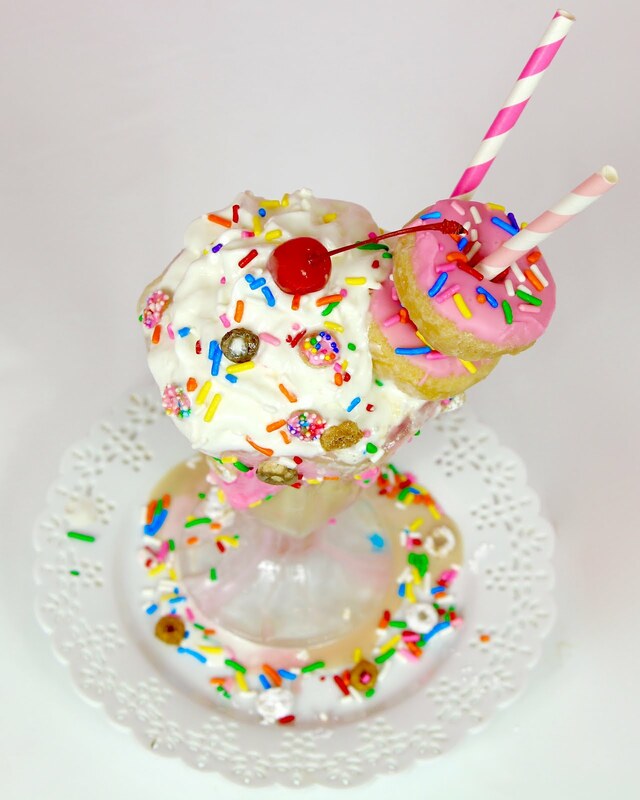 They looks so much fun on top of the milkshake and really add to the WOW factor of this bold frosty shake. 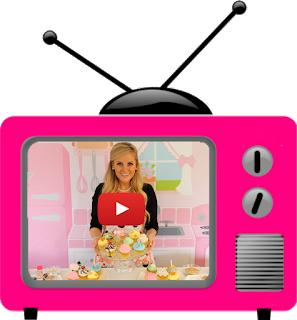 Click here to learn how to make my mini doughnut sprinkles! I also added them to the outside of the glass with some simple glaze, for a fun added touch. Or package them up in tiny little pink bakery boxes, using my printable template, for the most adorable little treat ever to serve with your shake. 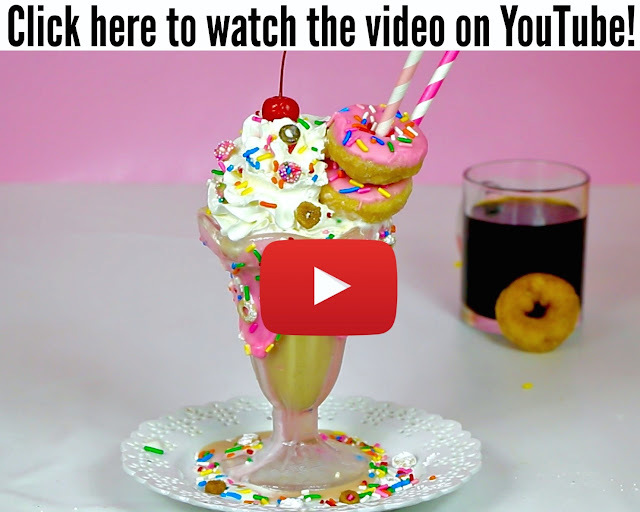 The shake almost tastes like a sweet donut dunked in coffee, all blended up into the milkshake of your dreams. Top it off with some fun toppings like glaze, whipped cream and sprinkles all finished off with a cherry and a donut straw, for a perfect special occasion treat. Prepare cold brew according to package directions and place in the fridge over night. 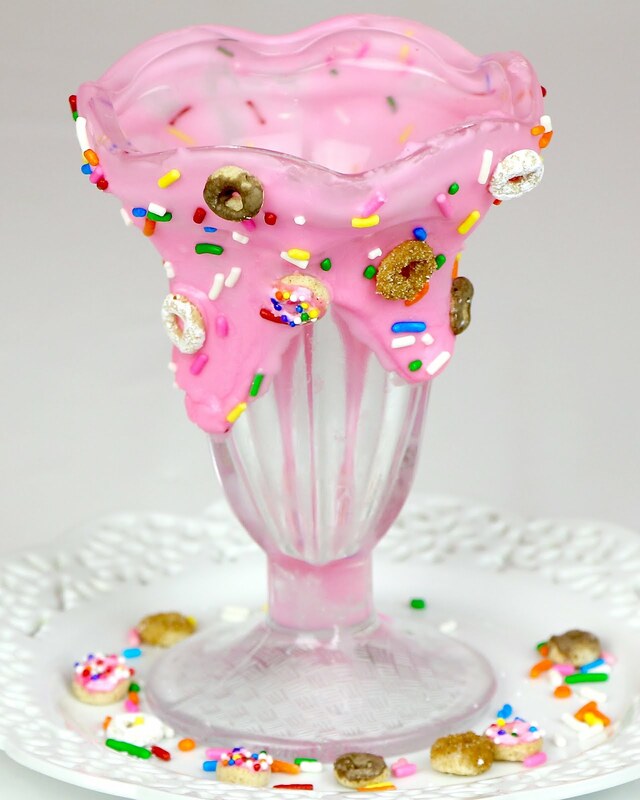 Mix together 1 cup of powdered sugar, 3-4 tablespoons creamer and pink food coloring, until smooth. Coat outer rim of 2 glasses and add donut sprinkles and rainbow sprinkles to decorate; set aside. 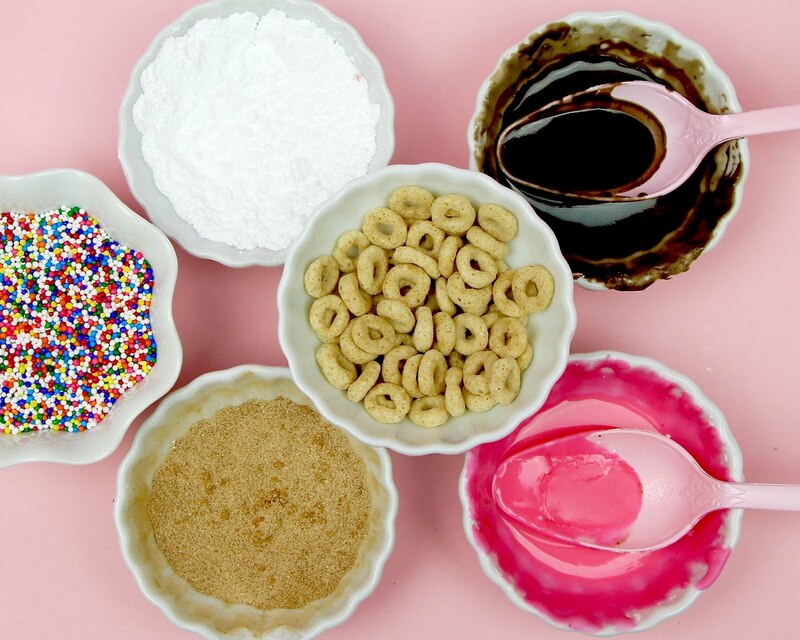 Dunk the tops of 4 donuts in the glaze, add sprinkles and let dry. 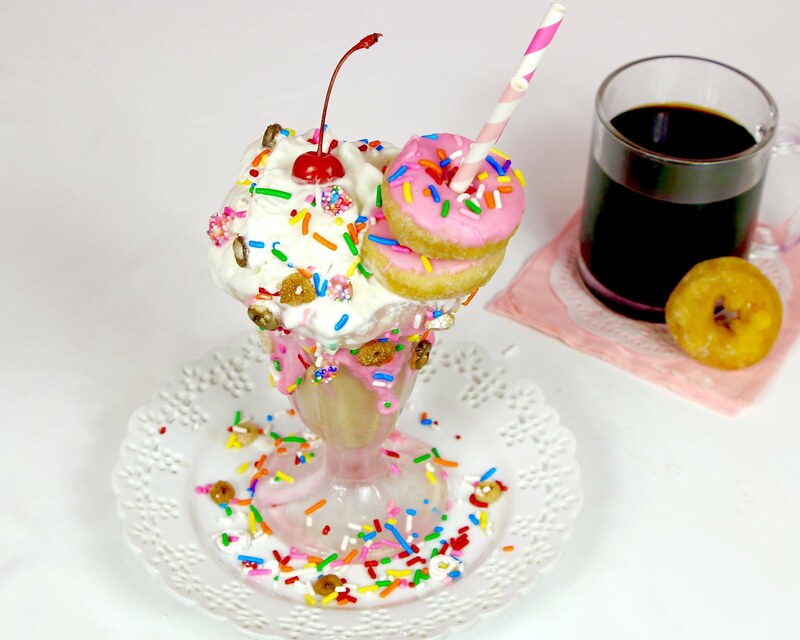 Blend 3/4 cup prepared cold brew, 3-4 tablespoons of creamer, ice cream and 4 mini donuts in a blender until smooth and frothy, adding additional cold brew to thin if needed. Pour into glasses and garnish with whipped cream, rainbow sprinkles, mini donut sprinkles and a cherry. 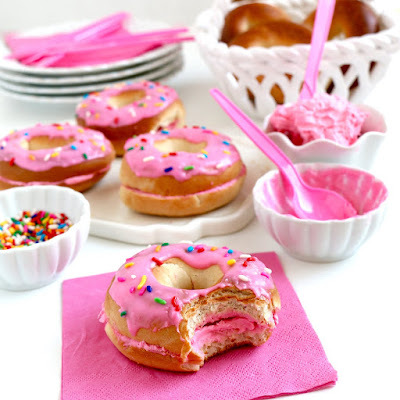 Skewer prepared glazed donuts on to a straw and serve immediately. © The J.M. Smucker Company © 2016. 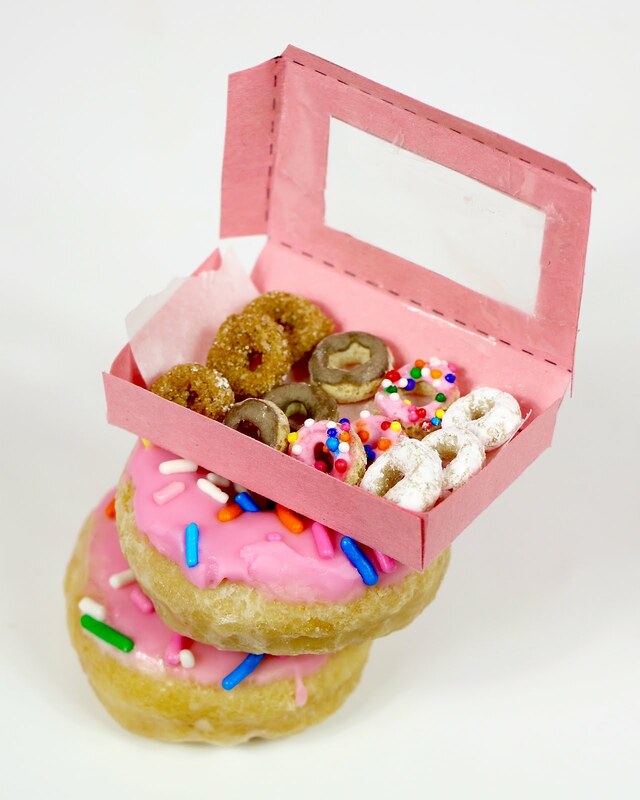 DD IP Holder LLC (as to Dunkin’ Donuts and all other trademarks, logos and trade dress of DD IP Holder LLC) used under license. Keurig, Keurig Hot, K-Cup, and the K logo are trademarks of Keurig Green Mountain, Inc., used with permission.